Rebecca Silvey is the owner and principle instructor and has been focused on how movement can affect the body, mind and spirit since childhood. She has a background in Dance and a passion for education to help others, which led her to Pilates. 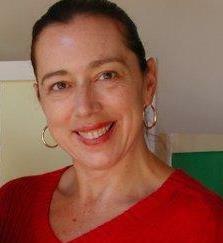 Rebecca has a BFA in Education and Music and did her MFA work in Dance and Theater. She holds a professional certification in Pilates through Polestar Pilates and has studied all methods of Pilates Instruction that are taught today. She has been able to synthesize the philosophy of Joseph Pilates and incorporate his methods of controllogy into therapeutic sessions for those recovering from various injuries as well as intense athletic workouts to benefit her professional athlete clientele. Rebecca is trained and certified for instruction in Yoga, Spinning, Aqua Aerobics, Step Aerobics, Reebok Cycle, Kaiser Cycle, Kickboxing, Kettle Bells, and Zumba. She has studied Classical Ballet, Jazz, Hip Hop, Funk, Latin Ballroom, Flamenco and even Hula. Rebecca’s mission is to educate her clients in the value of an intelligent approach to the movement and care of the precious perfect body they have been given and to give every BODY the gift of a lifelong love and appreciation of the joy of movement.